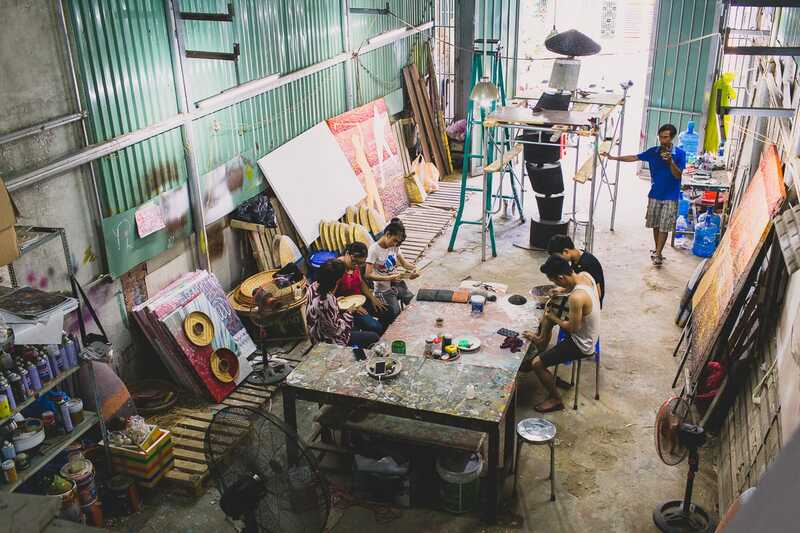 Hay Hay Design is a Hoi An-based art and design company that provides customers with “beautiful, affordable art.” It started life with a mission to nurture and promote local Vietnamese artistic talent. 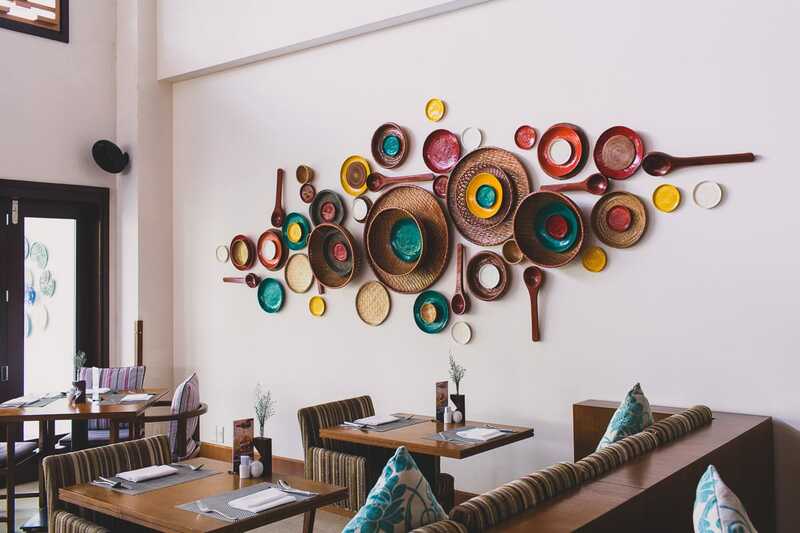 Then, a commission in 2015 from The Royal Hoi An M Gallery by Sofitel led Hay Hay Design to expand their business to become central Vietnam’s first suppliers of custom art pieces to hotels and resorts. The growth of Vietnam’s tourism market is well-documented. Danang alone has doubled its visitor numbers to 6.6 million over the past four years. 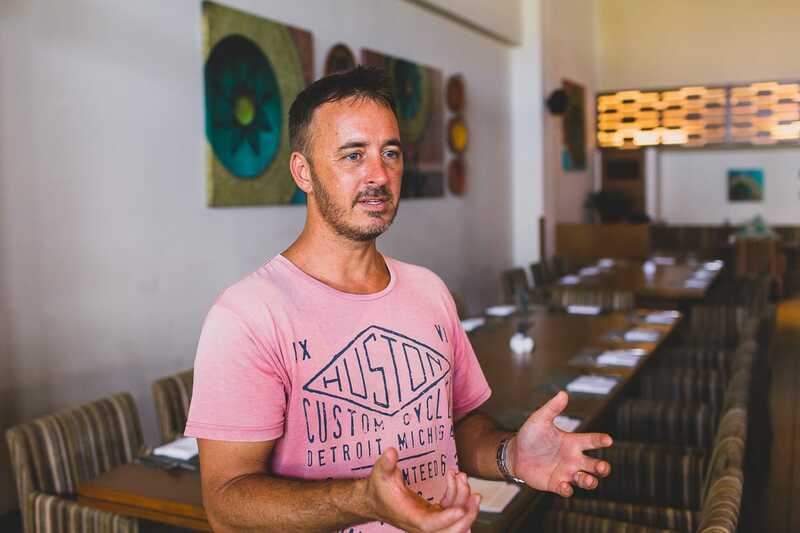 This has led to a rapid growth in high-end hotels and resorts from local and international brands. 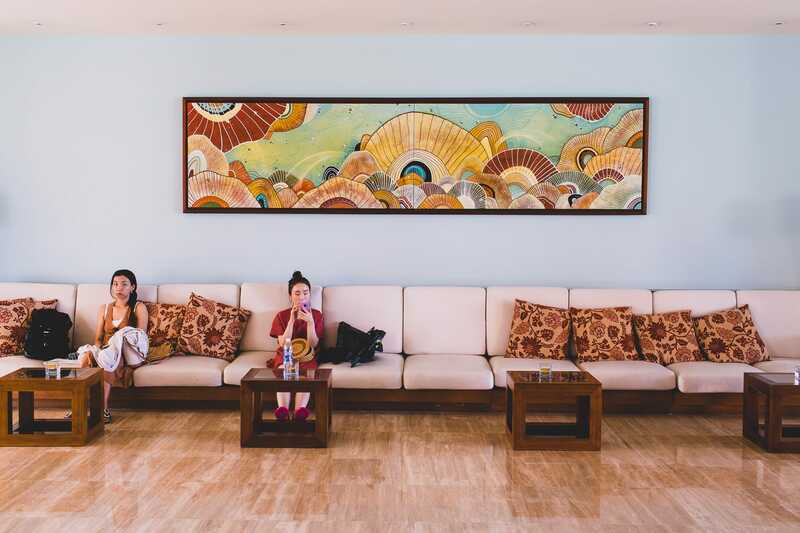 By 2020, Danang is projected to have 45,000 hotel rooms, and many will take the opportunity to showcase local artwork. We spoke with Hay Hay Design co-founder Shann Whitaker to find out more about their journey from souvenir sellers to art contractors. Shann Whitaker outside the Hay Hay workshop in Danang. How did Hay Hay Design begin? Hay Hay Design started in 2013 when myself and two friends opened a design store in Hoi An. We wanted to support local artists by having them create contemporary artwork with Vietnamese themes for the tourist market. Back then, we would purchase the items from local artists to produce a line of commercial products like postcards. For each item sold, the artisan would receive a commission. This helped to provide the craftspeople with a sustainable income. At the time we worked with about ten artists. We also had a handful of in-store artisans that created more original artwork, for which they also received commission. What is the motivation behind Hay Hay Design? 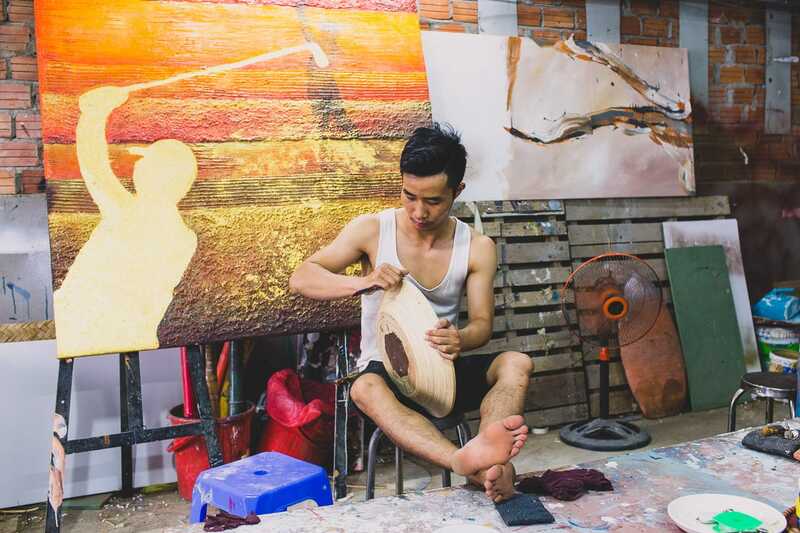 In central Vietnam, the art market is just beginning to develop, and it can be difficult for local artists to gain exposure to the right audience. 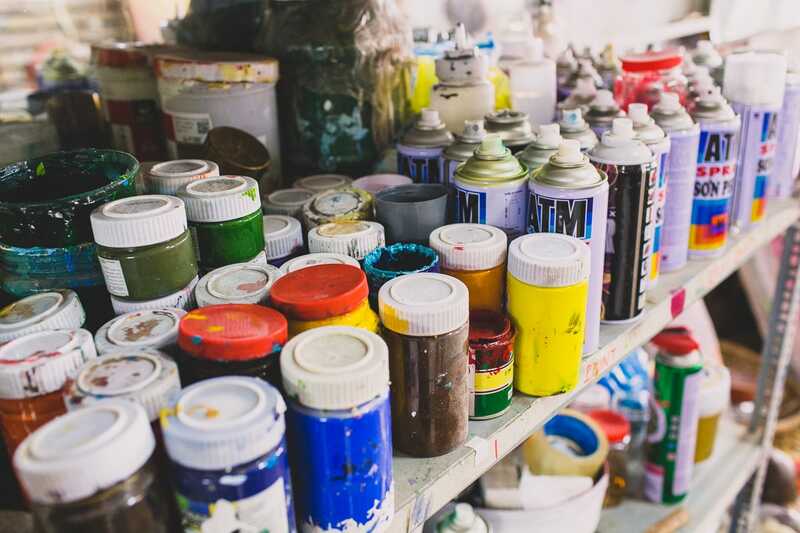 At Hay Hay Design, we want to help provide a platform for Vietnamese artists to sell their work. 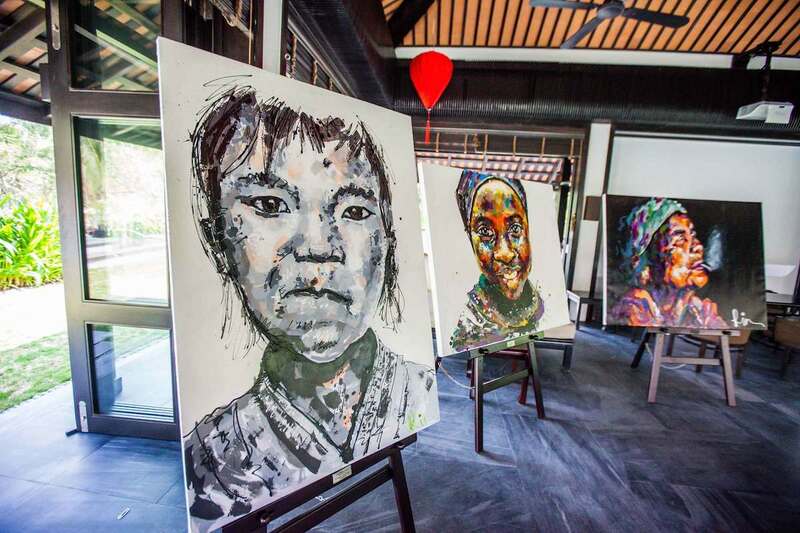 One event at the The Four Seasons Nam Hai Resort is a good example of how we help artists reach a larger audience. Two of our artists were invited to the resort’s garden cocktail evening. At the event, the artists displayed large pieces of work on easels. People simply took in the art while enjoying a few cocktails. It was a great way for them to access an audience they normally wouldn’t have been exposed too. Shann explaining his creative approach and inspirations. How do you work with local artists and traditional techniques to create contemporary designs? Vietnamese artists are masters of technique. They receive extensive training, particularly with traditional forms like oil painting and lacquer. As modernisation and globalisation impact Vietnam, many locals feel their culture is eroding. People want to see new things without any negative impact on traditional culture. My goal is to keep those core values, techniques, and materials, but put a modern twist on them. Some artists really focus on specializing their craft, but I like to play with multiple mediums. I use YouTube to explore new techniques that I experiment with. I like problem solving, and piecing ideas together to create a new concept. Finding ways to do this with a small budget pushes me to be more creative and resourceful. It would be great to have enormous budgets, but a lot of what you end up doing comes about because you are trying to find affordable ways to do it. When I’m at the market, I’m always looking at what’s around me—thinking if I could arrange some blue bottles on a wall to make an interesting installation. How did Hay Hay Design make the transition to working with hotels on commissioned projects? The owner of The Pullman Danang came into our shop and said that he really liked our products. He introduced us to the designer for Accor South East Asia. We spoke to the designer about what he wanted and then it was a really big learning curve. What we learned then is that you get the information in dribs and drabs: you get 3D drawings, and the floor plans bit by bit. You would think you get it all in one go at the beginning, but that isn’t the case. Although once you have all the specs, things move quickly! When working with a hotel client how does the design process work? The first step is usually a load of 3D drawings. We set up a meeting and discuss themes, and the client’s expectations. Next comes shape and form. That means we experiment with items, move them around and begin to incorporate a theme. 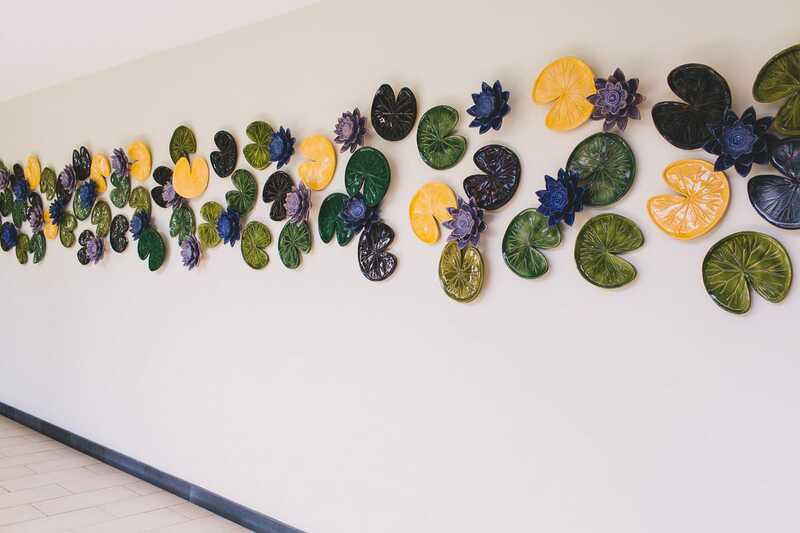 The ceramic lillies installation at the Pullman Danang was directly inspired by the two-tiered lily pond that you see as you walk out of the lobby. So the idea was to recreate that along a stretch of wall. We created the lilies with a local in Hoi An who has an industrial kiln. He also has a cafe in Danang where you can drink coffee and experient with clay. One day he invited me over to play around. I made one sample lily, which he fired in the kiln. Then, we experimented with a few more to get the shape and size right. Next we developed the colors for the glaze. Once everyone agreed on the design, we were left with the process of experimentation in order to get the final piece just how we wanted it. Ceramic lilies at The Pullman Danang. Tell us about your project with Hilton Danang? We are working on their public spaces including the lobby and 189 rooms. It’s a big project and the design is very contemporary. All the rooms have a ceramic piece, a print, and a framed artwork. For the lobby, we are working on a sculpture which represents the form of a Vietnamese woman. The sculpture is comprised of segments with lacquer work, gold leaf, and lots of texture. It’s an example of how we are combining the traditional with the contemporary. Lacquer work is a traditional technique. The black lacquer goes on first, then dried duck egg shells are crushed into the lacquer layer before an additional layer of lacquer is applied. Then it’s sanded and hit with a coat of clear resin. This process is repeated 5 times to achieve a smooth and shiny finish. Due to the complexity of this procedure, larger pieces could take up to a year to complete. Tell us about your favorite piece that you’ve created so far? Aesthetically, I like the basket circles at the Pullman Hotel. The placement and display really works. It consists of different baskets you find at the market along with ceramic plates and giant wooden spoons. I am trying to employ these kinds of features more because it provides unlimited possibilities for potential materials and how to arrange them in various formations. Patterns created by basketwork, plates and wooden spoons in The Pullman restaurant. The Healthy Farm. They organize a monthly farmer’s market for locals, and they have a local shop and cafe. They avidly promote environmental awareness through schools and foundations. They are also working on implementing practices and policies to help Danang grow sustainably. We need people in Danang like this with lots of energy and optimism.